A member's boat is hauled out on the Maritime Centre's ways last year; rebuilding the ways is our major project for 2012. 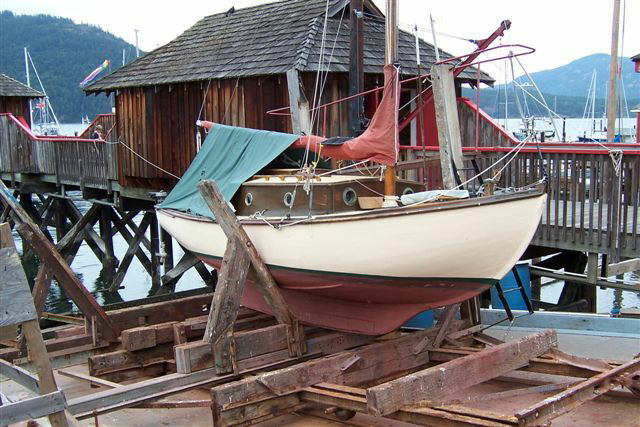 The Covey Marine Heritage Ways is an authentic piece of Cowichan Bay history. Originally built and operated by Ron Lindsay, owner of Covey Marine, these ways are of the traditional railway type design and one of five that operated in Cowichan Bay for many years. Ron generously donated the ways to the Cowichan Bay Maritime Centre in 2006 and we took on the task of relocating them to our site as part of our interpretive displays. During the move they were brought up to modern environmental standards. Six years later, after hauling many boats, the ravages of salt water has taken its toll and the complete refurbishment of the carriage is now required. This has also created an opportunity to further improve the ways by increasing its capacity for hauling larger boats. New maintenance services will also be available, including scrubbing, antifouling, zinc replacement plus mechanical and hull repairs. Maritime Centre ways operator Lance Underwood has undertaken the task of rebuilding the carriage and with the help of Centre volunteers, the ways should reopen in the early spring. 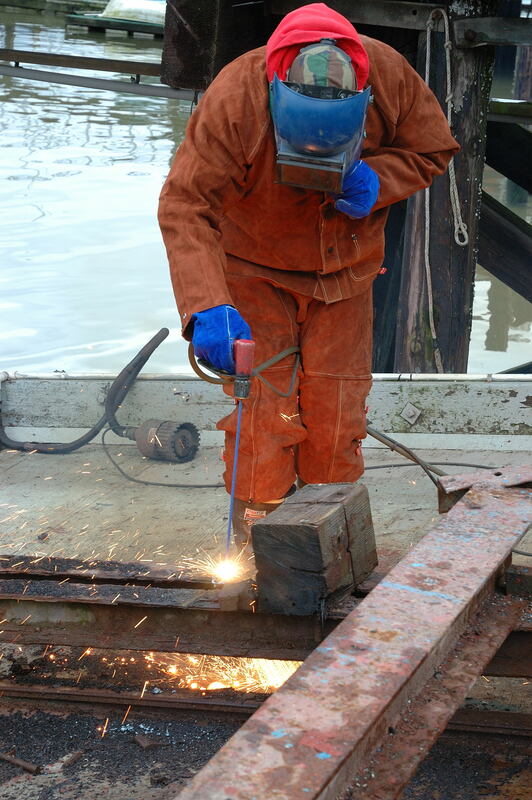 Ways operator Lance Underwood cuts up the badly corroded steel carriage of the old ways.